"Always Read The Contract" thumbnail. Kurt J. Mac is a YouTuber famous for his "Far Lands or Bust" charity series. 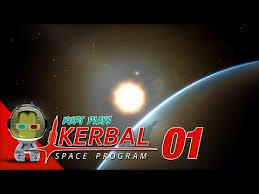 He has other series on his channel, however, such as his Kerbal Space Program series, which has two missing episodes titled "Always Read The Contract" and "Orbital Combombulation" that can't be watched due to them being in private mode for unknown reasons. They have not been mirrored by anyone else and are therefore completely unavailable. Far Lands or Bust Wiki entry on "Always Read the Contract". Far Lands or Bust Wiki entry on "Orbital Combombulation".